If you’re a fan of smoked salmon, you’ll enjoy this simple smoked salmon sandwich served open face with egg salad. Served on whole grain toasted bread, it makes a perfect light lunch for a warm afternoon. Last summer, my daughters and I were visiting family in Pennsylvania, and we stopped by my mother-in-law’s house for lunch. My MIL is known for making delicious and fairly elaborate meals when we come to visit, which I totally appreciate and look forward to; but on this particular day I asked her to keep things simple and light. I’d like to say it was because I didn’t want her to go to a lot of trouble, but it was solely for selfish reasons — I’d spent the prior weekend visiting with faraway friends, and consuming tons of food and wine, and I just really couldn’t bear one more day of overindulging. 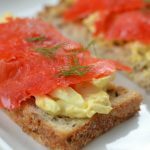 When we got to her house, she served a delicious open-faced smoked salmon sandwich made from toasted whole grain bread, egg salad, and high quality smoked salmon. They were absolutely heavenly, and just the perfect lunch to eat on a patio on a gorgeous warm day. Not too heavy, but completely satisfying. Despite my attempts to eat light that day, I’m pretty sure I ate at least three portions, as did my girls, who’ve been begging me to make the sandwiches ever since. I know this type of smoked salmon sandwich is typically called a tartines, but that word is just a little too fancy for me (and I can never seem to pronounce it right), so I’m going with “open-faced sandwiches.” If you are fancy, you can go ahead and call them tartines. The thing I love about these little open-faced sandwiches is that you can easily cut them into smaller pieces and serve them as appetizers. They would be ideal to serve at a baby shower or wedding shower, an Easter brunch (Can you think of a better way to use up Easter eggs? ), or any sort of springtime or summertime event. The best part is how easy they are to make. The egg salad comes together in less than a minute, and from there it’s all just assembly. Elegant and easy don’t often go hand in hand, but this is one case in which they definitely do. 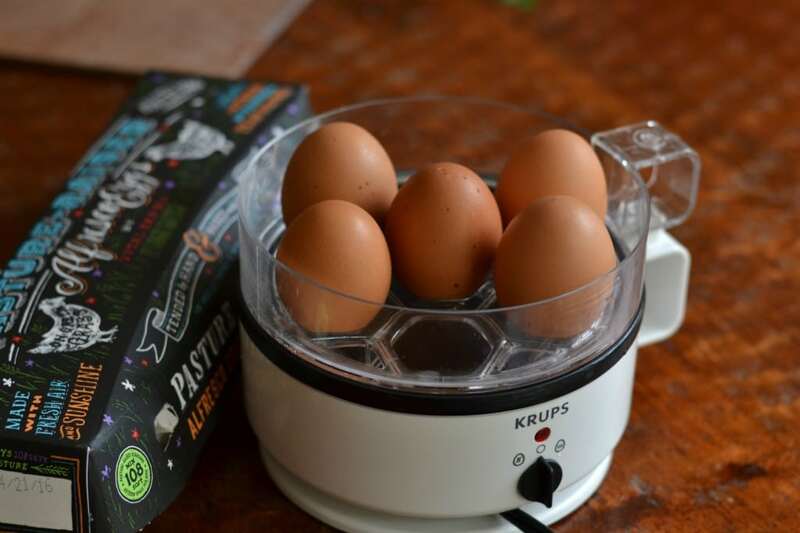 Side note: If you make a lot of hardboiled eggs in your house, I highly recommend purchasing an egg cooker (this is an affiliate link to the one that I have). No, it’s definitely not an essential thing to have in your kitchen, which is why I didn’t include it in my kitchen essentials list, but it IS awesome. My mom got me one for a gift last year, and it’s my new BFF. Some people are rock stars at making hardboiled eggs on the stovetop, but I’m terrible at it. I always manage to forget about them and either let them boil too long on the stove, or let them sit too long in the pan before moving them to the ice bath. The ones I make in this little machine come out perfect every time, and are SO easy to peel. Now for the smoked salmon sandwich recipe. 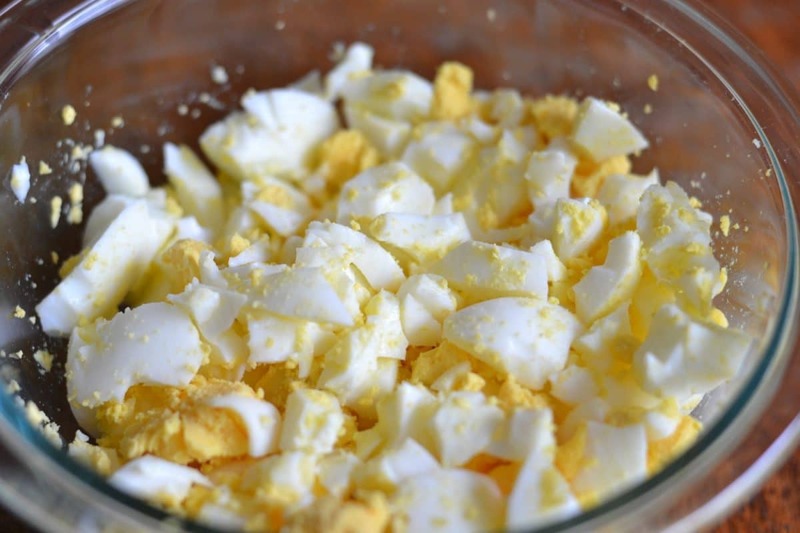 If you have an egg salad recipe you already really love, by all means go ahead and use that. I kept my egg salad as simple as possible by only using three ingredients: eggs, mustard and mayo (plus a little salt and pepper). I think some capers would be a nice addition as well, but if you don’t like them or have them, it will still be delish. This easy open-faced smoked salmon sandwich is the perfect simple lunch for a warm spring or summer day. In a medium bowl, chop the hardboiled eggs with a knife and fork. Add the mayonnaise and mustard and sprinkle with salt and pepper. Stir to combine. Sprinkle with fresh dill and/or capers for serving. With spring on the horizon, I know I will be making this often! As much as I love my soups and stews in the winter, I’m looking forward to lightening things up around here over the next few months. Do you have a favorite spring lunch? Please share in the comments! I’ve never tried smoked salmon this looks like a great sandwich. Thanks for linking up to Merry Monday! Sharing on Yummly! Have a great week! This sounds so delicious!!! I can’t wait to make them! I’m not a great cook, so when something works it makes me soooo happy!